Say hello to the most scientific preparation pedagogy for your IAS Preparation. 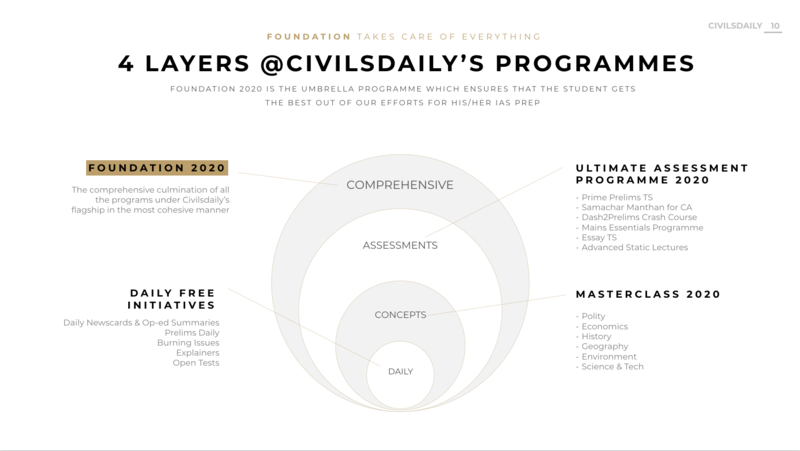 Civilsdaily has always been known to push boundaries in the field of learning innovations. We have stayed close to the ground and come up with nifty innovations in the form of Tikdams for Prelims, Samachar Manthan for Mains & Samanvaya for a 360° online mentorship. 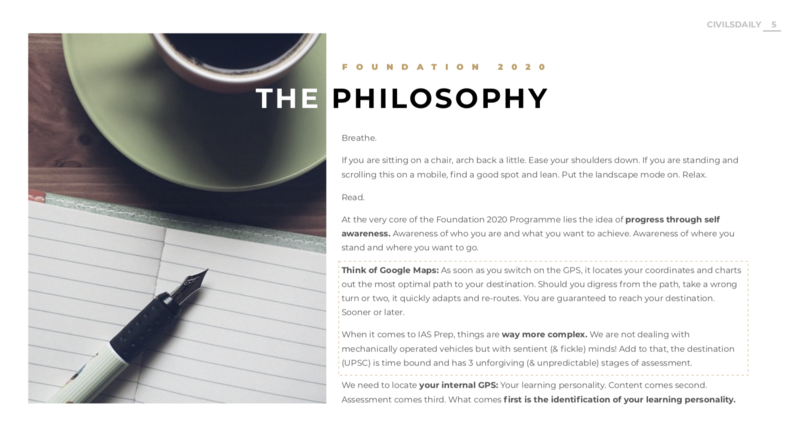 The Foundation 2020 is our most ambitious programme to date. 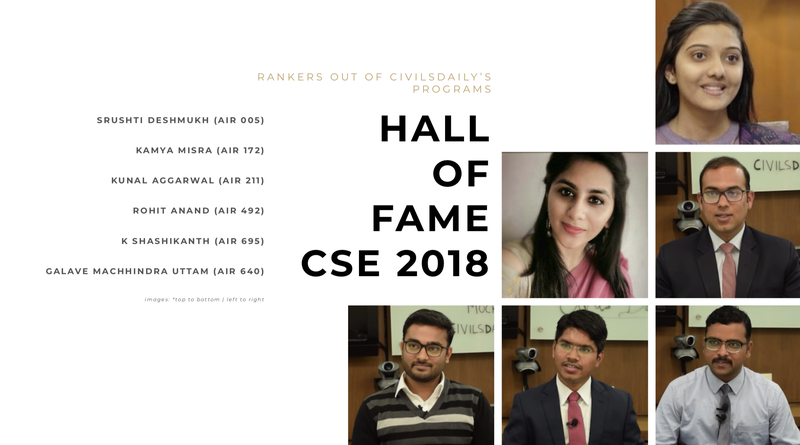 It marks the culmination of our learnings across the 4+ year of our operations and introduces a hitherto unexplored but immensely important layer of abstraction: Identification of your Learning Personas. 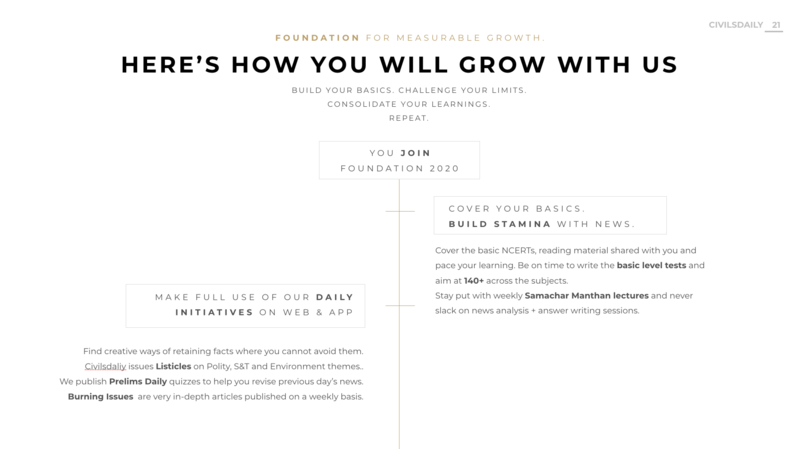 Understanding your learning personas is an evolving process and we are upgrading our Samanvaya calls to ensure that our mentors adapt to your learning patterns and provide flexible yet comprehensive strategies. 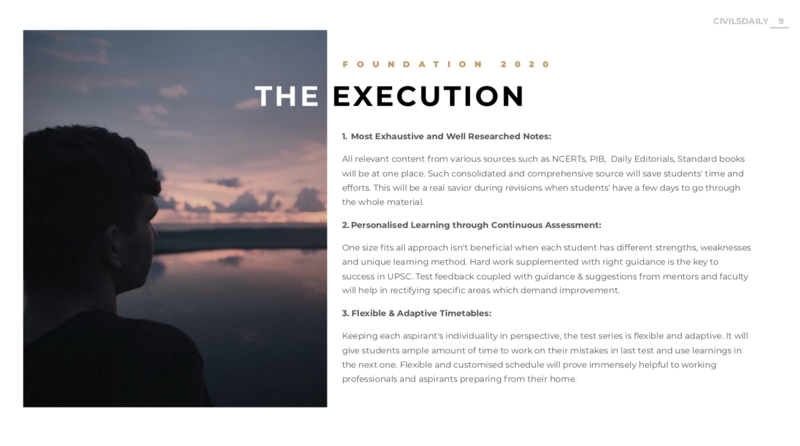 That said, the execution part of the Foundation 2020 course leaves nothing to chance. It takes care of 100% of your learning & assessment needs in a way that reinforces superior test-taking strategies for desired outcomes.